Things don't look good for we humans going into the future. Professor Stephen Hawking is concerned that global warming, nuclear war, and GMO viruses could easily do us in and are the greatest existential threats to human existence. Hawking spends a good amount of time thinking about things that could go wrong, from being sucked into a black hole to being obliterated by nuclear war. He believes that colonizing other planets is the only way to ensure the survival of humanity. “Although the chance of a disaster to planet Earth in a given year might be quite low," Professor Hawking told the BBC. "It adds up over time, and becomes a near certainty in the next thousand or ten thousand years." “By that time, we should have spread out into space, and to other stars, so a disaster on Earth would not mean the end of the human race," he continues. 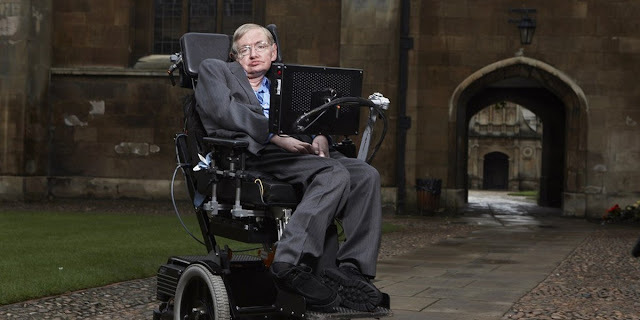 Hawking finds himself routinely concerned by some of the decisions his fellow scientists make, particularly last October when he warned that scientists at CERN could potentially create a "catastrophic vacuum decay" by toying with the Higgs Boson, sometimes called the God Particle. Said vacuum delay would possible expand at the speed of light and destroy the entire universe. “We are not going to stop making progress, or reverse it, so we have to recognize the dangers and control them," he stated. “I'm an optimist, and I believe we can. “It's important to ensure that these changes are heading in the right directions. In a democratic society, this means that everyone needs to have a basic understanding of science to make informed decisions about the future. “So communicate plainly what you are trying to do in science, and who knows, you might even end up understanding it yourself."